I honestly couldn’t wait to get to this part of the book, I am always fascinated by excellent writers and how their words are crafted into what many believe as works of art. I was probably around eight or 10-years-old when I first read “Little Women” I was looking for my next “heroine” so to speak, I had just finished the Laura Ingalls Wilder’s series and that was when I found Louisa. 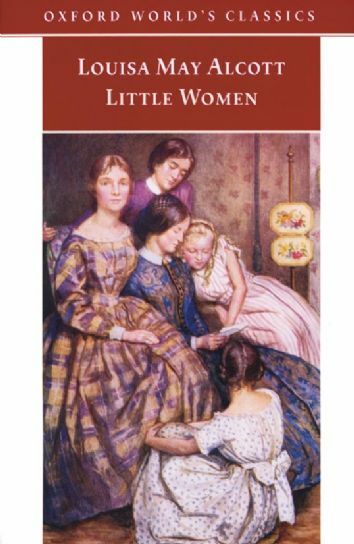 I remember getting a short version of “Little Women” that I think left out a lot of the whole story, but at the time I didn’t know any better. I have to admit I never read any of Louisa’s other books, so I am not sure whether I’ve had the opportunity to fully capture the full essence of who she was as an author. While reading the chapter on “Little Women” I felt I could relate to Louisa’s struggles in a very minor way when it comes to writing something we don’t necessarily want to write, but we simply have to. I’ve had those days, while I would never compare myself to Louisa in terms of a writer, I am a news reporter and there are days where there are stories I don’t want to write, but I have to, and some of those stories (not all, but some) have come to be some of my best and cherished work. It’s those stories that have had the most profound impact on the readers. I wonder if Louisa had any grain of thought that “Little Women” would be something like that. Did she know generations upon generations would still be reading her work, did she know the words she crafted in her bedroom in Orchard House would still be remembered nearly 200 years later? I doubt it. Writers are never fully aware their greatness, at least I don’t think so. As a child and now as an adult I have such respect for her as a writer and storyteller and I know for years to come she will continue to inspire young girls and women with her work. Look for my final post on this book later this week! Thanks dear followers! Great post! I haven’t read a lot of LMA, but I did visit her homes, Orchard House and The Wayside, both in Concord, Mass. Considering how attached you feel to her, I think you need to visit. Based on the portions of Little Women I’ve read, I felt as though I understood the writing better when standing in her home, surrounded by the setting she composed the novel in. Also, she is buried right down the road at a beautiful site. It’s not that far, only a day trip away! If you want the information, let me know! Her neighbors, and friends, Emerson, Hawthorne, and Thoreau’s homes and graves are also in the area. Thanks! I have visited Concord, I want to go back though! I’ve seen it all, it was a great day! I hope you are doing well!